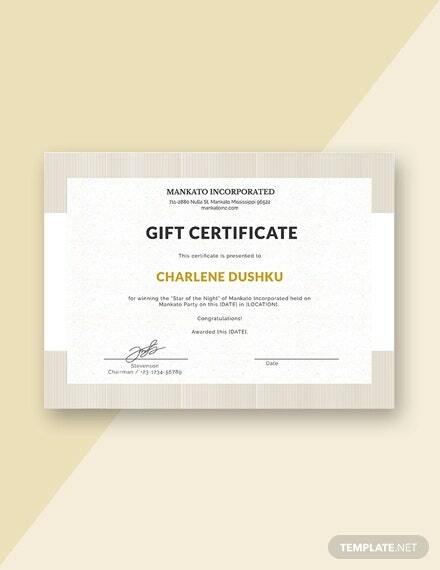 Almost every business gives out a gift certificate as part of a promotional project or to award customer loyalty. 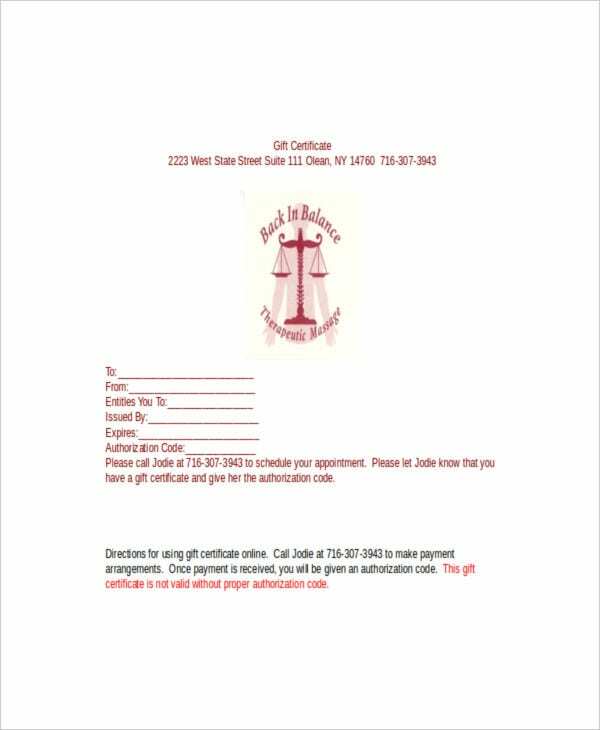 Some gift certificates are mailed to registered customers at special occasions and holidays, while others can be bought and gifted to family and friends. This is a popular strategy and a good way to retain your existing customers by keeping them happy and making them feel special. It is also a way to attract new customers and promote your business. You may also see Certificate Templates. 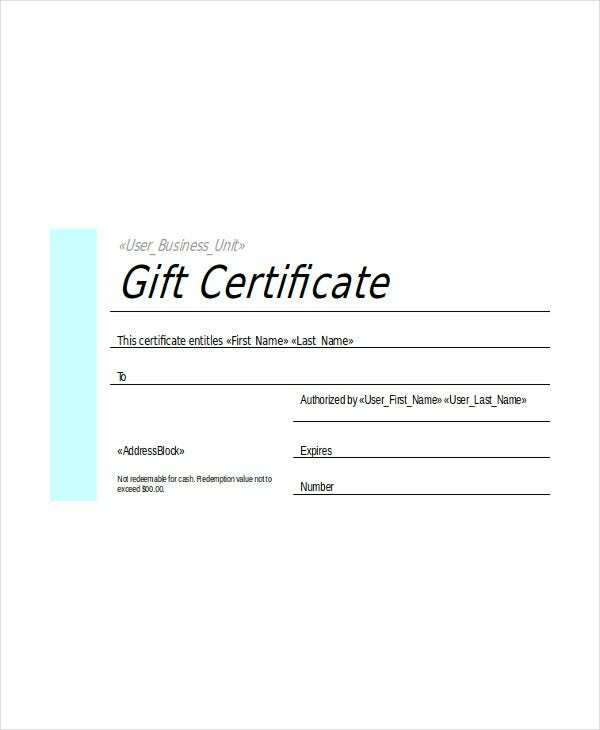 If you’re thinking of incorporating this tactic in your business, first take a look at these gift certificate templates so you know the best way to go about it. Gift certificates are attractive ways to bring more customers to your business. They also strengthen the loyalty of your current customers and help them refer yet others to your door. The idea of gifting can take many forms, and many are now going for a gift card format. Whether a certificate or a card, it entitles the recipient to get something of specified value from your business, be it a commodity or a service worth the amount on the certificate. This is an effective strategy completely separate from the usual discount voucher. 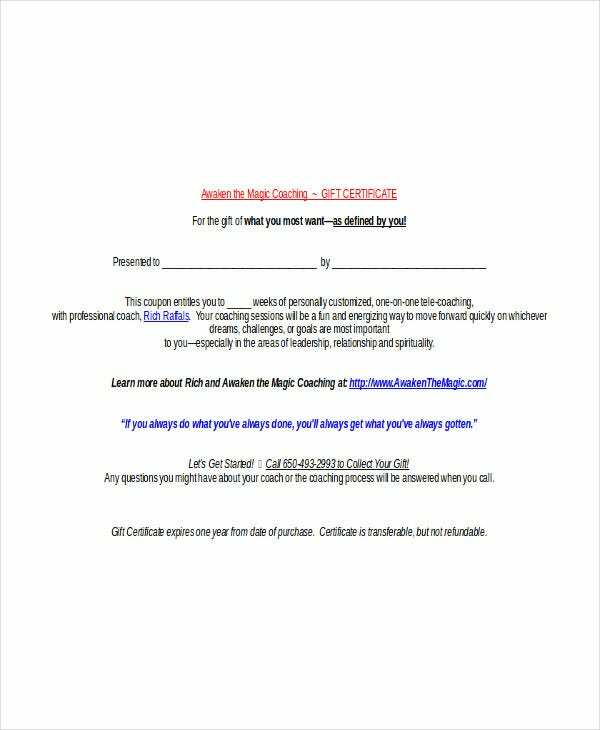 To pull this off, you will need to have the actual certificate you can start handing out to your next customers. 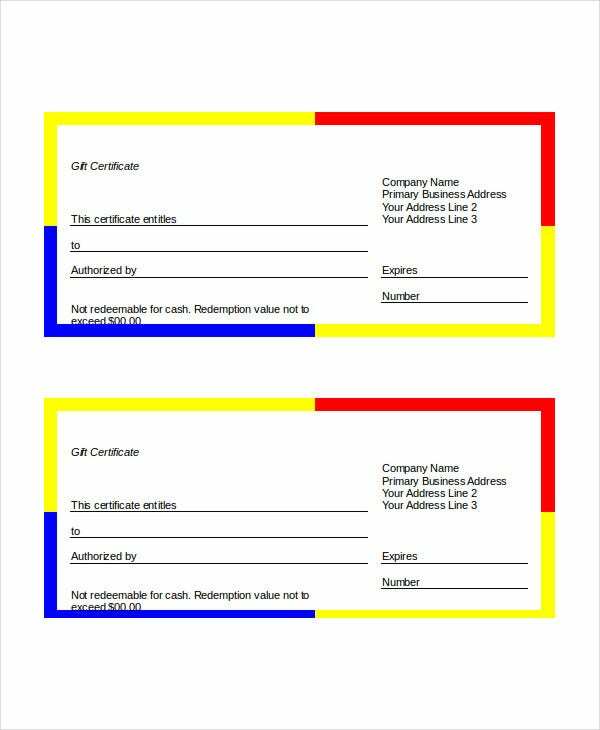 These are all examples of useful business gift certificate templates that can serve any commercial entity (and even nonprofit charities). 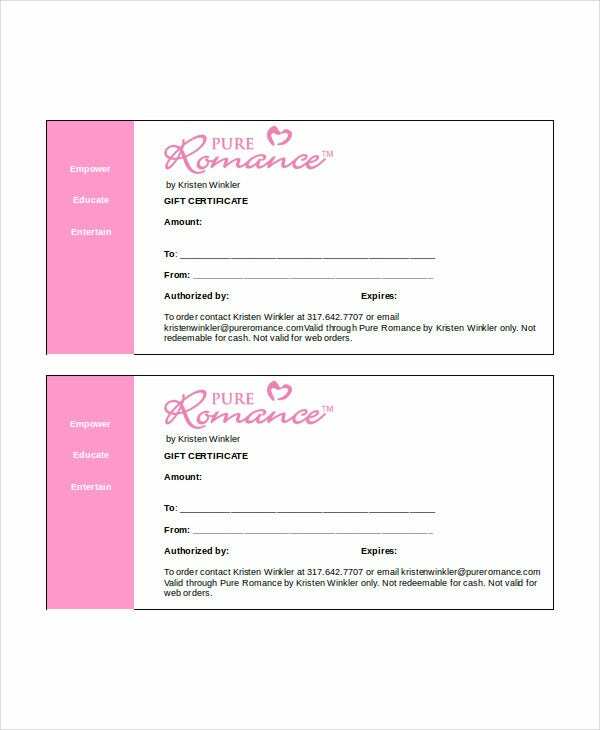 Some of these templates are examples of actual gift certificates used by different organizations. 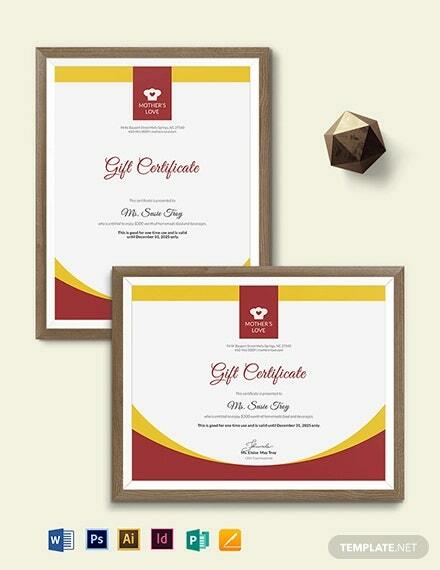 You can base your own gift certificate designs on the ideas you get from them. 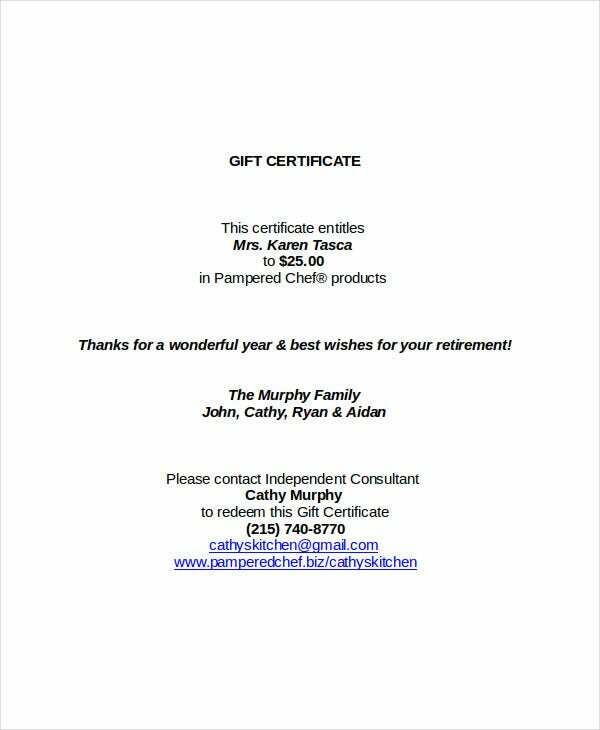 If you want something simple and easy to put to actual use right away, check out the Blank Gift Certificate Template in Word or the Birthday Gift Certificate Template in Word. The generic templates above are especially useful if you’re giving out gift cards as an infrequent thing. If it is a regular part of your promotional strategy, it would be better to create a custom-made certificate using the ideas of the branded certificates. You can give certificates as a reward for some action in relation to your business. 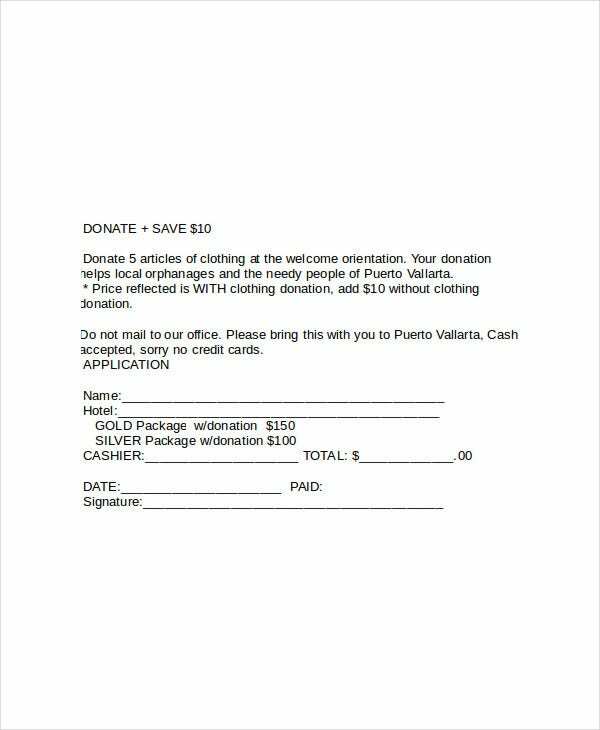 See the Gold Gift Certificate Word Template to award a donation to your charity. 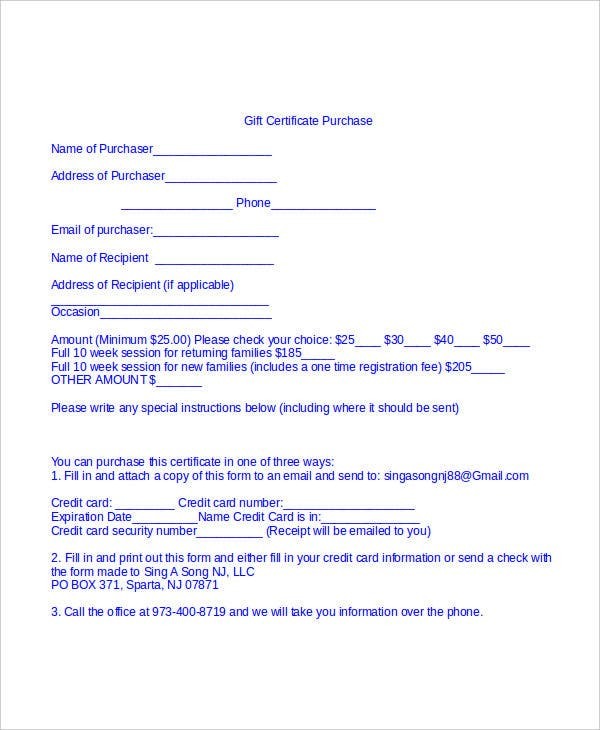 If you are preparing gift certificates worth various amounts for purchase, refer to the Business Gift Certificate Word Template. This fully editable template will show you all the details you’ll need to make it work. 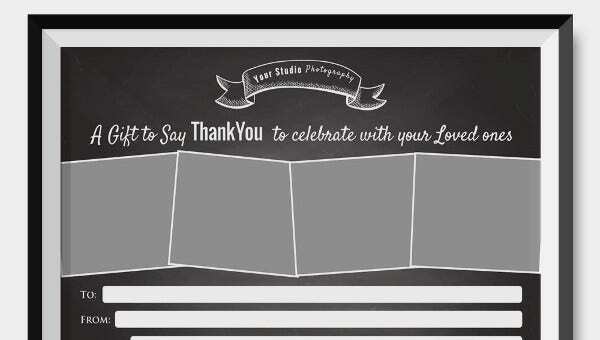 The obvious upside of these blank gift certificate templates is that they are fully customizable and 100 percent free. Think of it as our own gift to you.